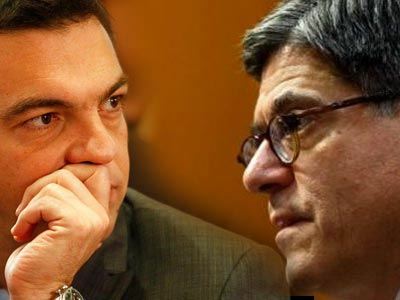 A few days earlier, on May 27, Prime Minister Alexis Tsipras called Jack Lew, US Treasury Secretary and asked him to mediate in favor of an agreement between Greece and the so-called institutions (EU, IMF, ECB) during G7 talks in Germany. Mr Lew, according to Embassy of US in Athens: “Emphasized that the Treasury remains engaged with all parties involved – including Greece, its European partners, and the IMF – and continues to urge all parties to find common ground and reach an agreement quickly. Secretary Lew reiterated that failure to agree on a path forward would create immediate hardship for Greece and broad uncertainties for Europe and the global economy. Secretary Lew offered to remain in contact with the Prime Minister and other parties in Europe and the international financial institutions”. According to Reuters, although Greece was not in the agenda its crisis has overshadowed G7 talks. G7 used to be G8 but Russia, the 8th member, has been excluded since 2014 and the whole gathering has become a gathering under the wing of US. G7 is in fact a group of capitalist countries with similar economic and political systems. Furthermore, the epitome of capitalism, IMF, also participates. In 2001, 200,000 demonstrators from several countries, protested during G8 summit in Genoa, Italy and “accused the police of brutality and denying them their right to non-violent protest. They believe that G8 summits are non-legitimate attempts by eight of the world’s most powerful governments to set the rules for the planet at large”. Why a politician of leftish ideology and probably politics, as soon as he will be allowed to govern his country, Mr Alexis Tsipras, thinks that a gathering of eminently neo-liberal officials would act in favour of Greece and not to the benefit of a bunch of conservative “institutions”? Even more when their ultimate objective is austerity, wage reductions and dominance of the markets? Even if Prime Minister represents Greek public opinion according to polls, there is an inconsistency between on one side his election program, the communist ideas of his party and probably his own views and on the other side the negotiating moves he makes. EU itself is a nest of neo-liberalism and all regulations, guidelines, directives and legislation do not leave space for any progressive government and administration. Apart from the pressure of repayment of an unsustainable debt, the left Greek government will have to overcome the imposed by USA et al. conservative and restrictive guidelines (inside and outside the country) in order to apply progressive and left politics. Under present circumstances, it is understood that “conspiracy theories” about a deliberate destruction of Greece, seem to be confirmed. Greece is not free anymore to import from, to export to, to connect and collaborate with, and to develop trade or other cooperation with any country without, at least EU’s, prior permission -with or without debt. If a first visit in Moscow caused such a wave of reactions (TWTP article) it can be easily understood what would a broader collaboration with Russia or with Venezuela (for example) would ignite. It is yet to see the impact of the Iranian foreign minister’s Javad Zarif visit in Athens on May 29th. However, debt protects the “system” from “bold” exercise of sovereignty, something which is thought more possible by a left government. Anything “left” causes abhorrence and fear to conservatives all around the world. Europe has been the cradle of both dark ages but also of enlightenment. EU, by following the imperialism dogma of USA and NATO has declined to a “follower” to say the least. If war is induced under the pretext of “union” (namely in Ukraine) it becomes obvious that it has deviated seriously. It is ironic that Greek media present as “positive” any comment or statement of officials against Grexit or whatever similar. It is common knowledge that no-one would like Greece to exit the euro zone – let alone EU and any capitalist group like G7. Unless EU changes radically and be released from the chariot of USA, it will reproduce a modern yet conservative model which is incompatible with once progressive European traditions, ideas and cultures. Consequently, EU will become even more “toxic” for its member-states. Failing to distance itself, will also lead to its full inferiority which, among others, dictates agreements like TTIP or “demonization” of any sovereign country which is not subordinated to USA. Greece is presented as the weakest link but in fact it has escaped the “adjustment and compliance stage” of uniformity inside neo-liberalism. Corruption is common among many countries more or less but in Greece it was formed by the “triangle” of Government officials-Big businesses plus media-Banks. On the other hand, this same triangle led Greek people skillfully and systematically to a consuming delirium -top feature of capitalism- only to find themselves trapped a few years after the country entered the euro zone, in fact without the prerequisites. An answer to why corruption as well as uncontrolled debt has been allowed within the bosom of EU, is the present situation. Debt and loans is only a means to further restrain a country and terms about privatizations of crucial assets and state property is not investing but just a sample of extended dependency of the country. “They want to buy Greece cheap”, as is mentioned in the article of Steve Weissman What Europe and the IMF Are Doing to Greece: A First-Hand Look. Greece possesses the undoubted advantage of its geopolitical position and historically, so far, this card has not been played to its own benefit by the majority of Greek politicians. Even the…urge to join euro zone (and European Community earlier) brought benefit only to certain circles and not to the people. After all, the whole idea of united European countries is based upon the profit of the few and not of the many who are sentenced to lack of reaction due to either exhaustion or to consent which is, as well known, manufactured by media and by propaganda. Mr. Tsipras’ government has the chance not only to restore some breakdowns of the past but also to start a new age of politics and of an authentic union. 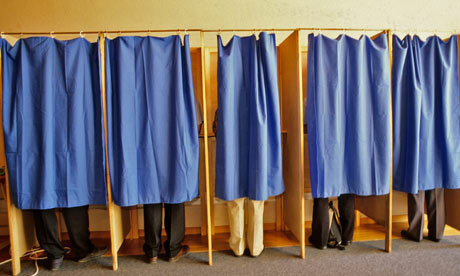 If he fails, many of European people’s dreams, aspirations, fights and movements will undergo a severe setback. This is the ultimate purpose of conservatism and capitalism but it is not in favour of people’s interests -nowhere in the world.